Wow. This is beautiful! I want to be there right now. Thanks for sharing this! 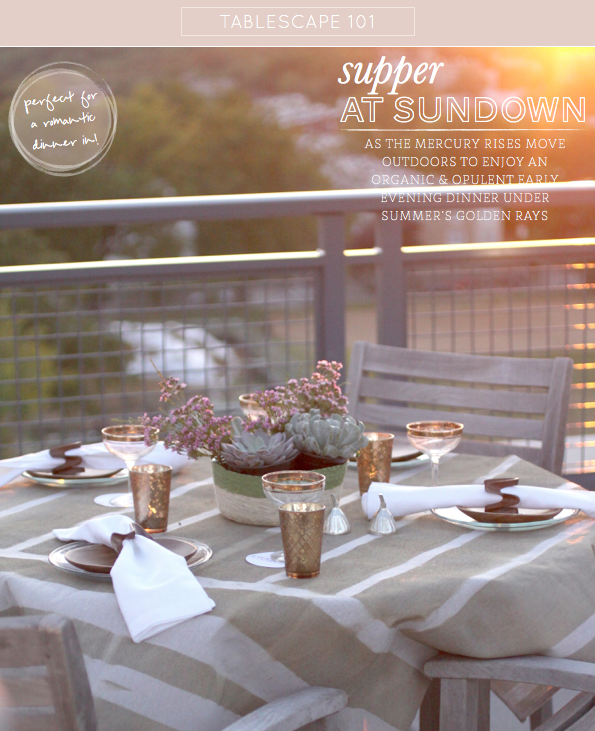 Any food consumed under the backdrop of a sunset is enough to make me weak in the knees. This whole concept is absolutely beautiful! oooh this is gorgeous! dinner at sunset is so romantic. I can sniff from a distance when Manvi is here! I can sniff, feel and see loveliness, great taste and tons of inspiration (and a little bit of gold!). Hugs to you both, lovely people. Oh, I love this hour! 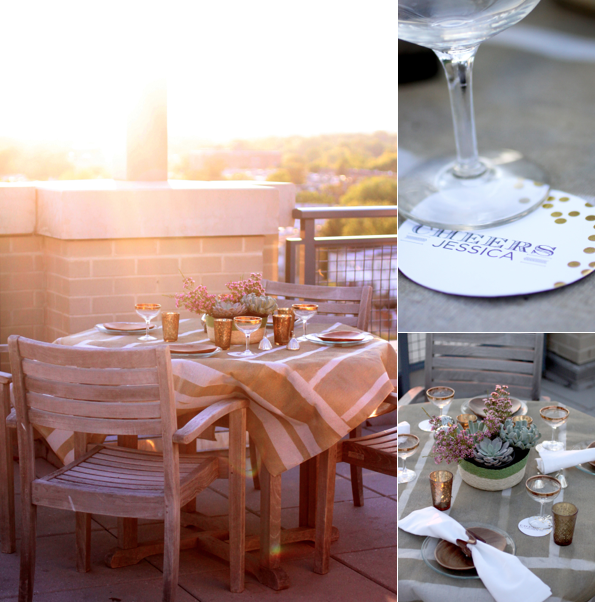 And I really like the natural tones mixed with the golds of the sun and tableware! This is gorgeous, I love eating outside and I'd love to eat at this table. I must have those champagne glasses they are incredible. Looking beautiful Will! Loving the succulents. 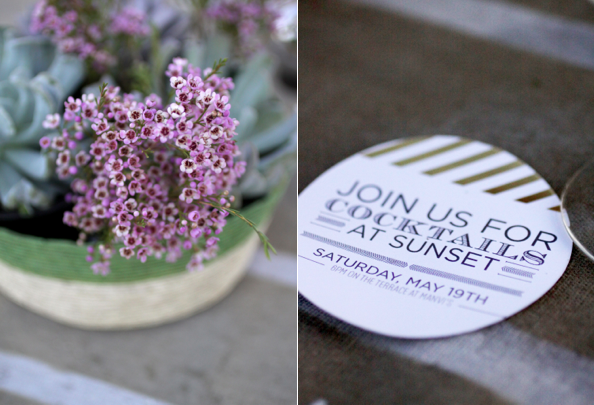 aw so GORGEOUS, I love the gold edged drink ware and the coasters, how cute! 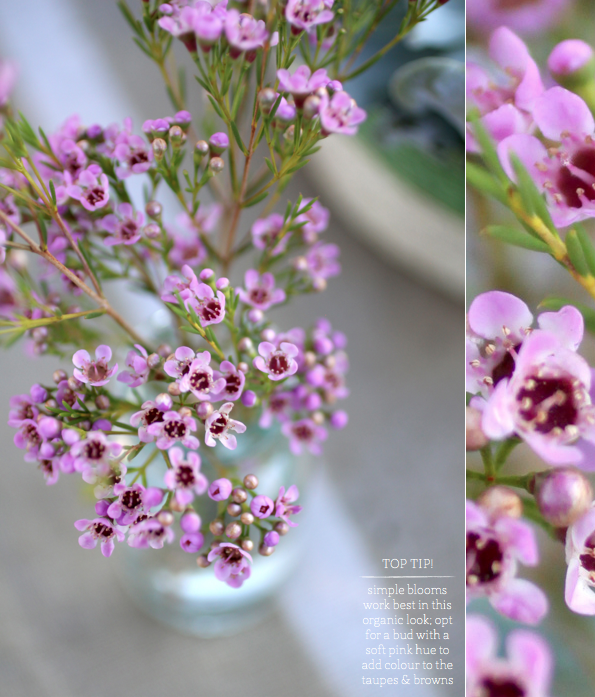 Is there no love button on this blog?!! Funny, yesterday I was thinking if I maybe had missed one of your Tablescape 101 post during the moving. Right now I'm sitting outside with the children, enjoying a glass of white. 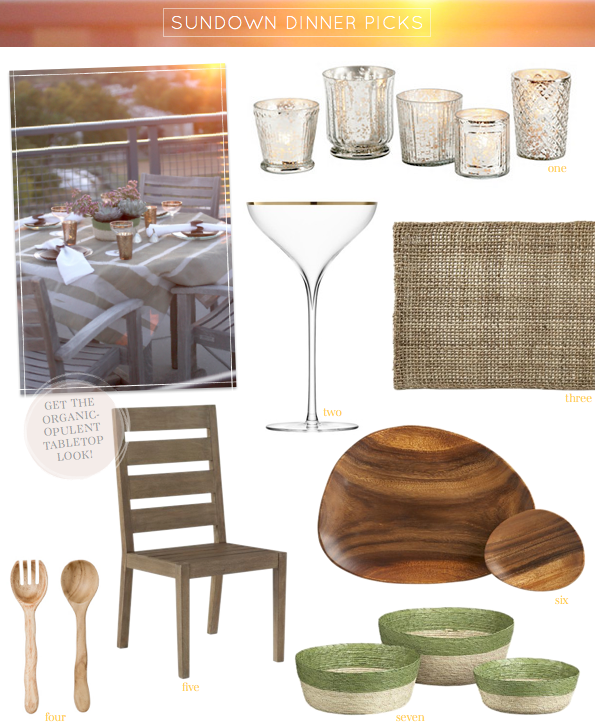 This summer will be all about dining al fresco. 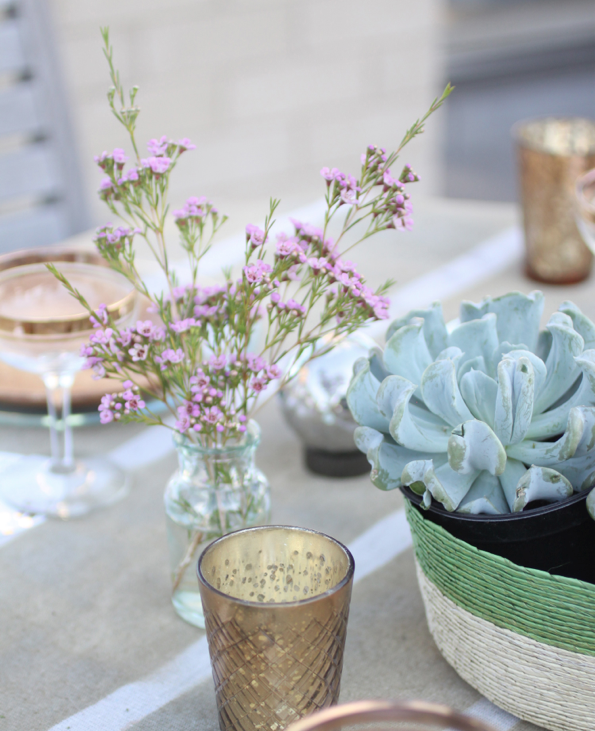 love the casual summer night dinner party! That flower is one of my favourites as well and they look so simple and elegant. love the coasters and now all the guests know where to sit! Beautiful setting! Wow. I absolutely love this.I love the fact that it's not over the top and actually kinda calming. Lovely, romantic and so relaxing! Love everything about it! Especially golden glasses. Centerpiece is adorable too! This is so beautiful, love the whole vibe of it... ahhh, and makes me long for a proper summer! soooo this is pretty much all of my favorite things combined. 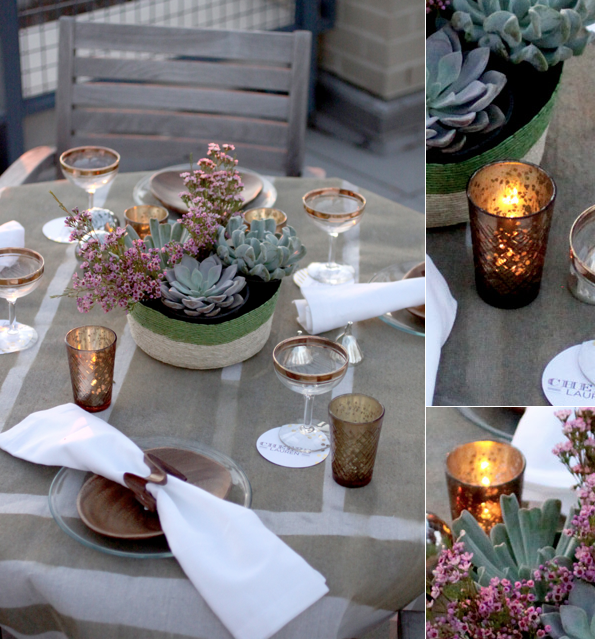 taking cues from this place setting for my wedding next summer! earthy elements with the perfect pops of shine are exactly what I'm looking for. Will and Manvi, this is BEAUTIFUL!!! I love everything about the colour palate you've choosen.